You know what tomorrow is…HALLOWEEN! Woohoo! Which also means that tonight is mischief night! Going to go toilet paper some trees? And no, I’m not condoning any vandalizum 😉 Now as of November 1st, we move into full-blown holiday season! Let the craziness commence! I guess I must admit that I do kinda love the holiday season. All the holiday movies and Christmas music. That “holiday” feeling that you just sense everywhere. Everyone seems to be rushing around, but enjoying it non-the-less. I’ve never had a crazy holiday season, but I love hearing and reading about everyone else’s (sometimes crazy) stories and experiences! I finally treated myself to a little pre-Christmas personal gift shopping 😉 I guess I can’t really say “treated” though since I didn’t spend any of my own earned money (but gift card money). Fingers crossed the goodies come today which will include a new camera lens, a cast iron skillet, and jackfruit! Haha! Yes! I hope you have a wonderful spooktacular Halloween and a lovely weekend! I’ll see you back here next month! 😉 Happy Friday! Great advice from one wonderful woman! Hearing no only allows you to move on; it’s way better than to remain stuck! Because it’s already found! You’re just ignoring it! I had to do a lot of that these past few weeks! Haha, we all deserve to have our opinions! Step back and slow down! You should love your life; at least not hate it! It changes your perspective on many things! I’ve said it before. It’s never failure if you don’t say it is. Yes! I hate when people believe this! There is not some “higher reason”. You can be an “ethical” meat eater. Bahahahaha! These videos are hilarious! Even more reasons to drink the dark stuff! I’m making another vow to you guys. I’ll post a soup recipe this year (hopefully)! Right along with cigarettes and asbestos! + Could Depression Be Caused By An Infection? Don’t always follow what the “common knowledge” or media hype is. There is no one diet, but FODMAPS really is something to consider trying. + What The F**k Is Gluten? A link? Celiac is more common in those with IBD. This makes me so sick. Seriously!? Well I better get reading! The only 2 you need! Omg! Yes! Just had to deal with this the other day. It annoys me to no end! I loved this little run down of all the points! Haha, I love the Write or Die one! Been doing some stalking lately? One day, my friends, one day! Senposai, Daikon, And Chili Garlic Chicken Warps. Can’t even imagine all those flavors!!! 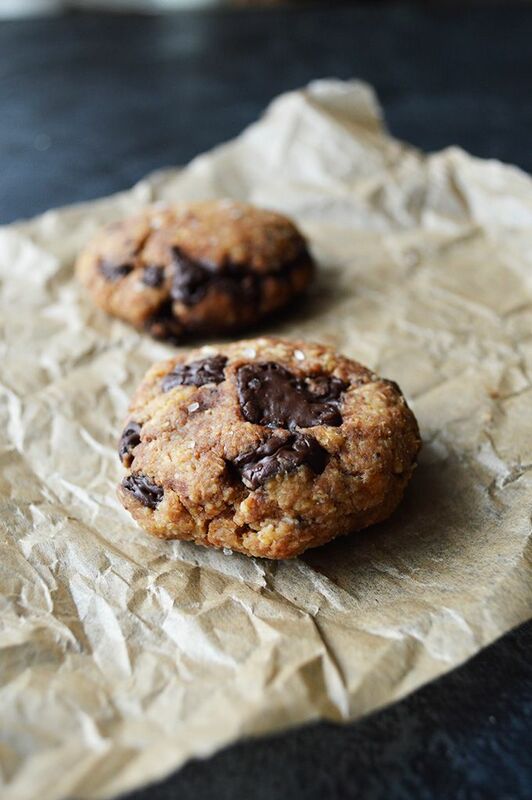 Butternut Squash Chocolate Chip Cookies. Ya’ll know I love veggies in my cookies! 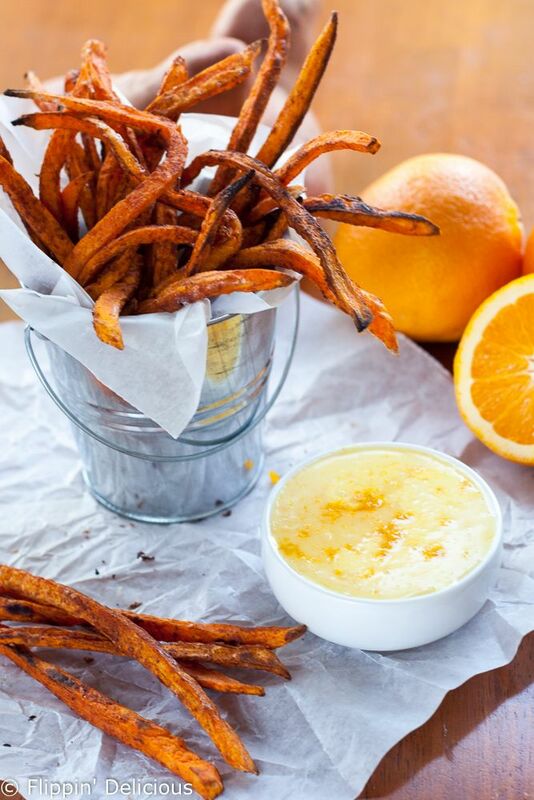 Crispy Baked Sweet Potato Fries with Orange Zest Icing Dip. Holy sweet potato fries! 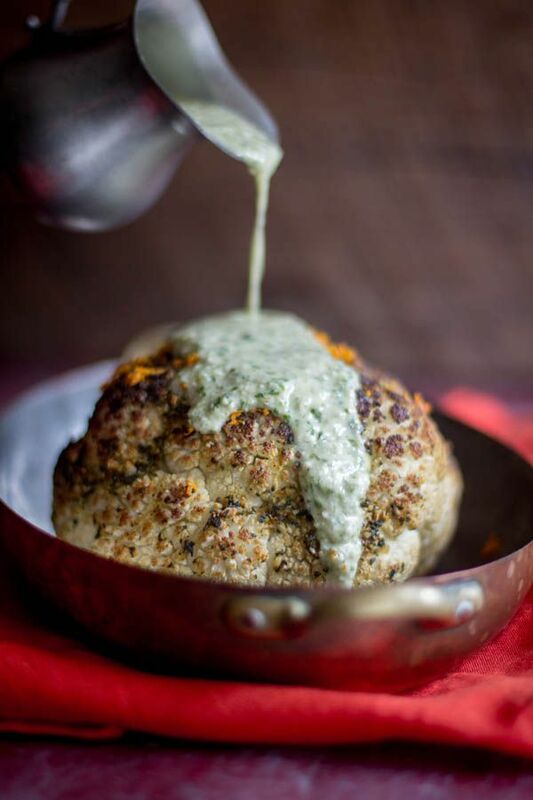 Herb-Orange Whole Roasted Cauliflower. And that cashew sauce! 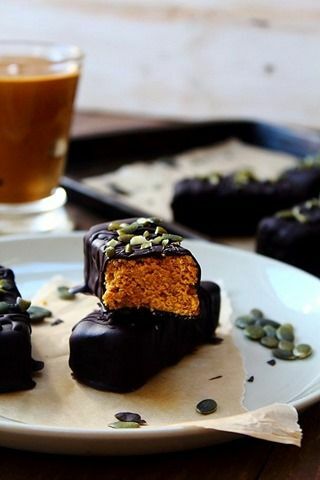 Chocolate Peanut Butter Bars. Classic and these are just so beautiful! Roasted Celariac and Cauliflower Soup. Two amazing veggies for one comforting soup! 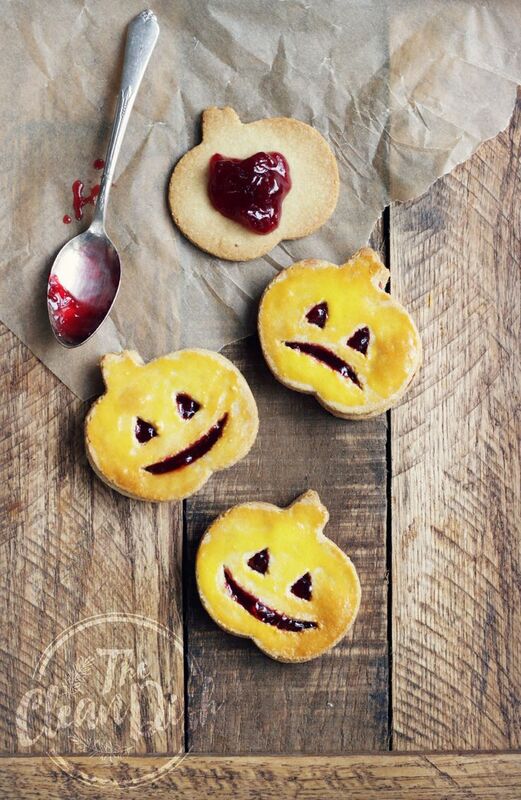 4-Ingredient Jack O’ Lantern Cookies. These are so cute and so easy! 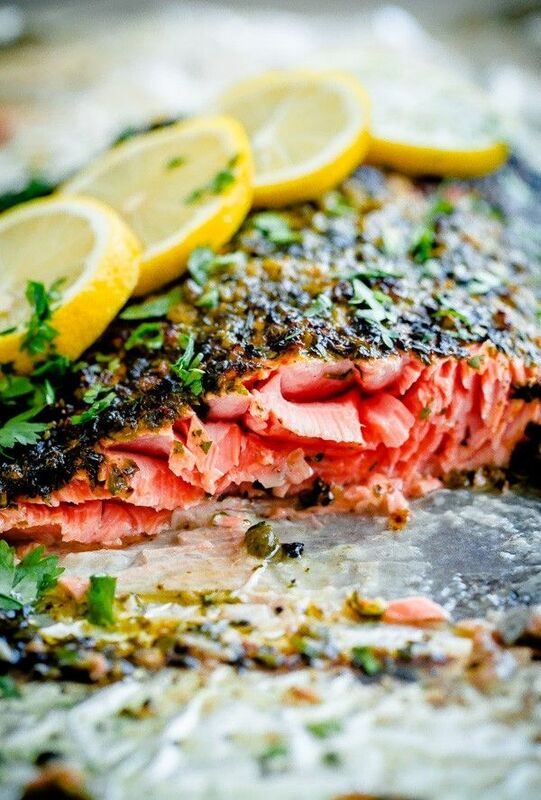 Weeknight Broiled Salmon with Chermoula Herb Crust. That’s some killer salmon! 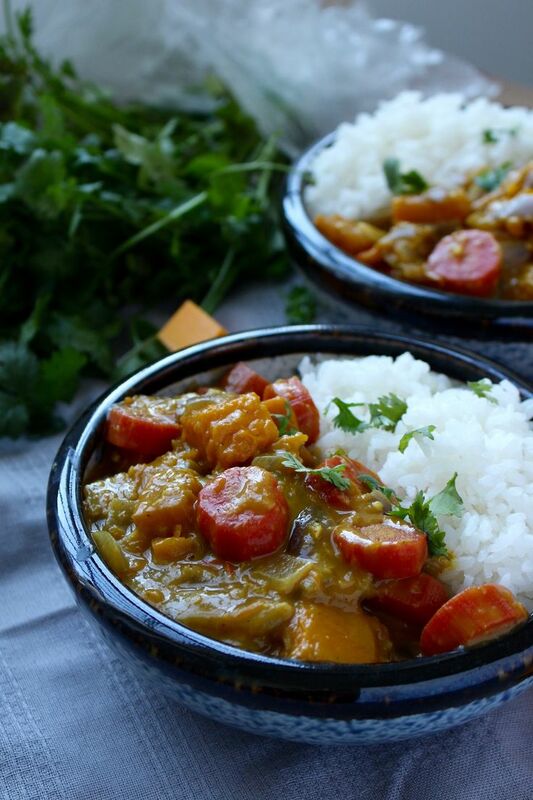 Pumpkin and Carrot Curry. Give me all the orange color and curry! 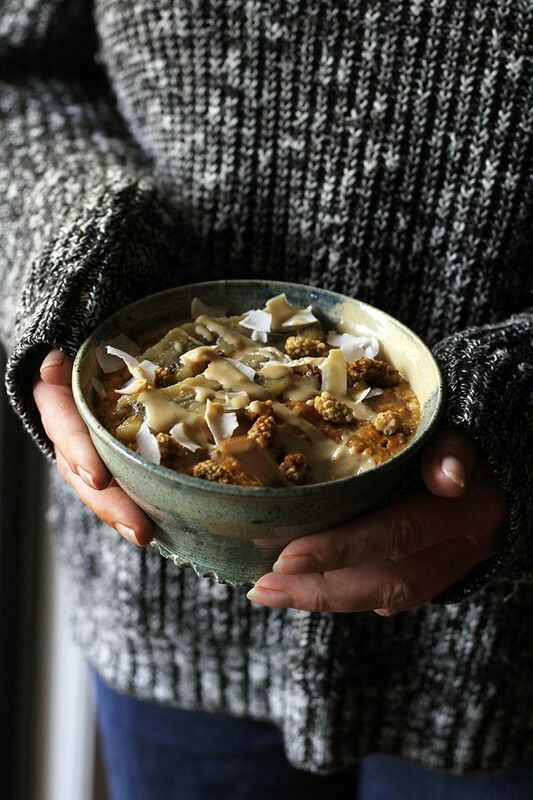 Vegan Pumpkin Chai Oatmeal with Caramelized Banana. Who wouldn’t want to wake-up to a bowl of that!? 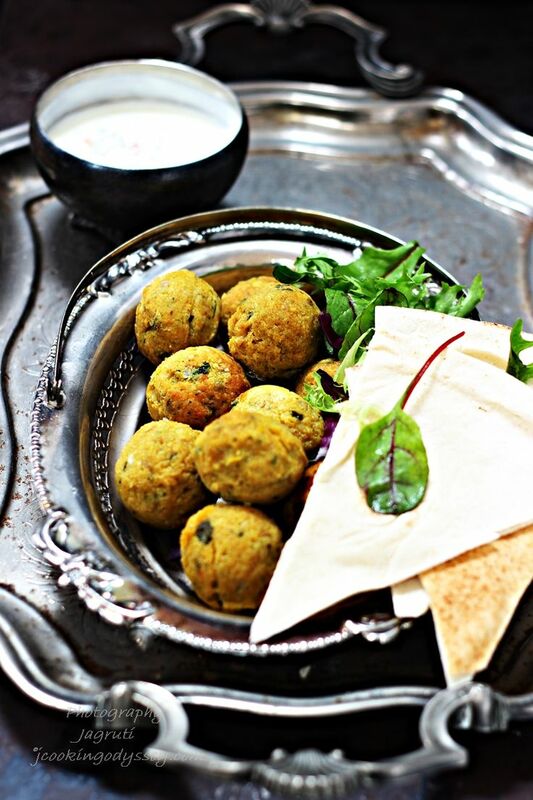 Low Fat Pumpkin Falafel. The perfect falafel for Fall! + Hallmark’s Christmas movies start tomorrow! Get pumped, guys! + I asked this on my Facebook page the other week, but what’s (or was) your favorite Halloween candy? Junior Mints! + What are your Halloween plans? What are you (or your kids) dressing-up as? All of this food looks so good! Those chocolate peanut butter bars look yummy! I can’t wait to check out some of those pins. OMG they look so good! Well you haven’t seen any photos with my new lens! Lots of great stuff here, Rebecca! I can’t wait to peruse all of the goodness. Those chocolate peanut butter bars are calling my name. Yum! Amazing round up. So many goodies! Mmmmm those butternut squash cookies have my name written all over them! Wow, what a round up of amazing links! 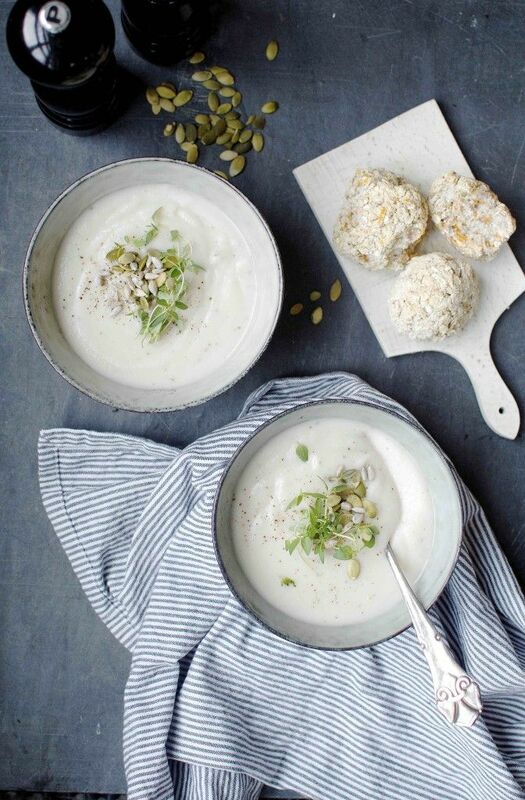 I have been wanting to make a cauliflower soup for so long.. I actually planned to do that this weekend after seeing a recipe in the food52 book of genius recipes. I hope you’re having a great weekend! Go for it! Food52 never let’s you down and the weekend is the perfect time for some good winter comforting soup! Totally with that article on the overuse of antibiotics. :[ That’s one of my soapboxes, hahaha. Rebecca: Your blog always makes me hungry for something with flavor 🙂 So good…. I love how you pointed out we go from TPing peoples houses and all the mischief to being Thankful and the full blown holiday season. Nuts I always think about that. Hahaha, we live in a strange world! Have a wonderful weekend Amanda! Our ipod at work got put on shuffle today. It must have known that November 1st was coming up because every other song was a Christmas song. I’m not ready!!! I love that holiday feeling as well! The best! And so many delicious links! Have a fantastic Halloween weekend!! As usual, thanks for all the great links, Rebecca! My favourite Halloween candy is anything that involves chocolate 😉 I don’t have any plans this year besides staying in and watching some classic scary movies! I’m SO looking forward to it. Oh my goodness, so many amazing links I want to read this weekend!!! 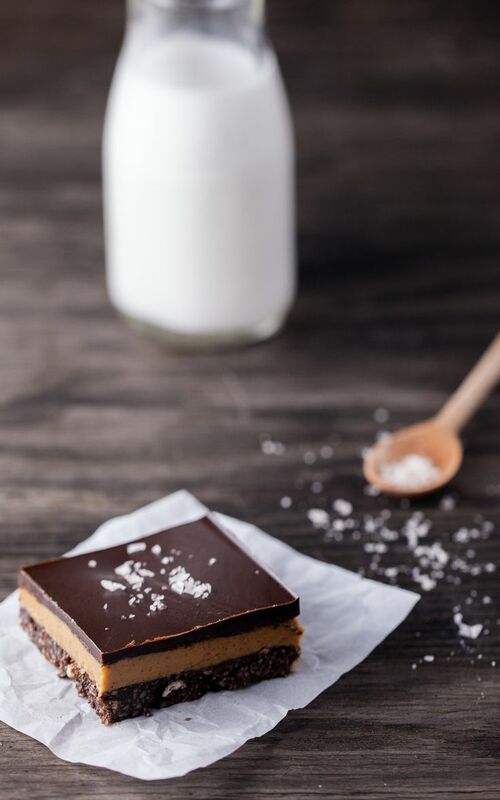 Can’t wait to try some of these delicious recipes too – looove the look of the chocolate peanut butter bars! Yum! Have a great weekend Rebecca! 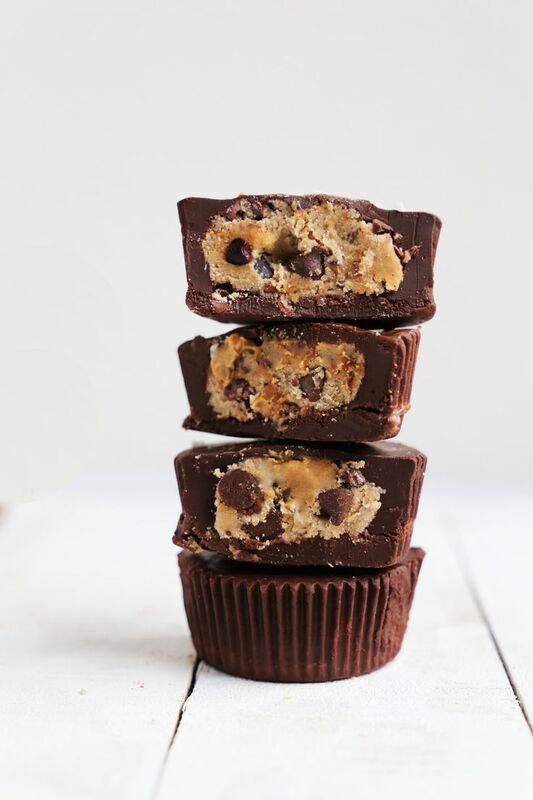 And now I will spend my night making gluten free cookie dough stuffed cups and better butterfingers because Dave will love me for it 🙂 Thanks so much for sharing those! As always I’m going to go spend at least an hour looking at these websites… love your Friday Finishers 🙂 Thanks for the shout out today 🙂 xo friend! xoxoxo Have a wonderful Friday/weekend Sam! Doesn’t it look so good!!! I found that one really late last night before this post went live and knew I had to add it! 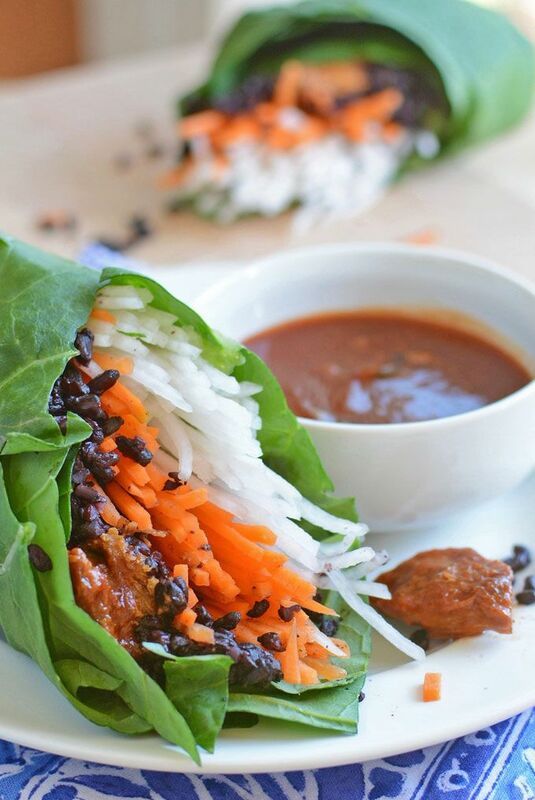 The wraps look outstanding, Rachel! I’m organizing a Halloween party for my dorm, eating a lot of candy, and relaxing this weekend. Oh, and studying. 😛 Hope you have a good one! Such a fun post!! Can’t wait to read through your posts- and always on the lookout for new, great recipes! Thanks! Hope you find some good links! York Peppermint Patties are always a favorite of mine. Especially frozen. Have a good weekend! Yes girl! High five to frozen mint chocolate goodies! my favorite candy has to be just plain and simple extra dark chocolate! But did you ever get that? Fries are a must, but that dip 😉 Swoon! What a great roundup! I will be working my way through these all weekend…thanks for putting this together! My weekly obligation, but I’m glad to do it! Junior Mints were my favorites too! But frozen from the freezer! The best!